I realised that there is a demand from the publishers for a lot of good stories, there are reporters who are ready to supply it. But there is somebody who needs to vet them, who needs to certify that these stories are fact-checked, good to go, and that somebody’s putting a stamp on it. It’s not news that the business model for journalism is under threat. Many news companies around the world, especially those straddled with legacy, are continuing their quest for a silver bullet. Meanwhile, new age entrepreneurs are also looking for avenues to integrate fact-based storytelling with a sustainable enterprise. Nestled in the by-lanes of bustling Bengaluru, a three-year-old start-up seems to be on to something. 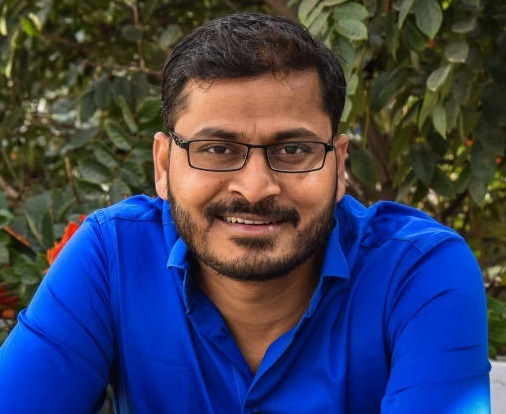 Gangadhar Patil founded 101reporters to connect reporters with publishers because he discovered a huge supply of journalists with no one to write for. 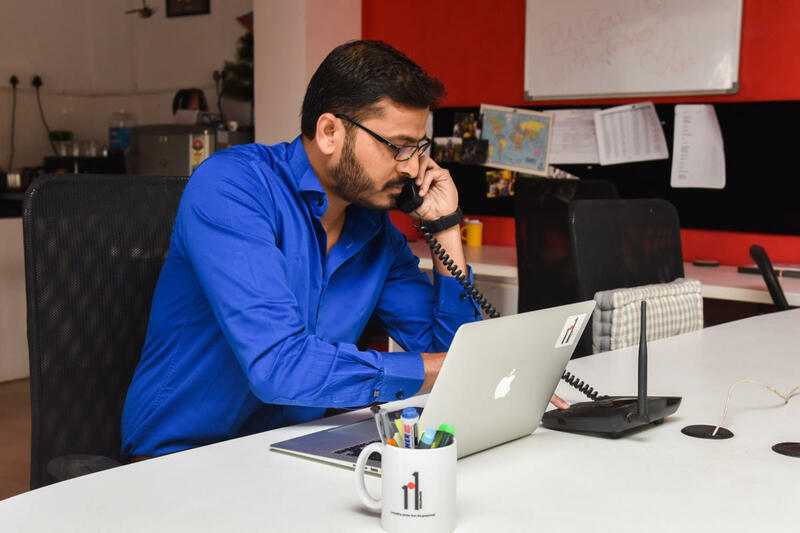 His company is focused on enabling grassroots journalists from across India to pitch ideas and publish stories in a variety of mainstream news brands. Once a publisher expresses interest in a story, that story becomes exclusive to that publisher. That’s how this start-up is attempting to differentiate itself from existing news wires and agencies, especially heavyweights like Press Trust of India, Indo Asian News Service and Reuters, where a generic news feed is sent to all publishers. 101reporters provides a platform that gives journalists like Bhargava reach beyond anything he could have imagined on his own. Through the platform he’s managed to publish stories in First Post, News Laundry, News Central and Asia Times. He says he likes working with 101reporters because they are prompt, earnest and transparent, and importantly, they make “timely payment”. 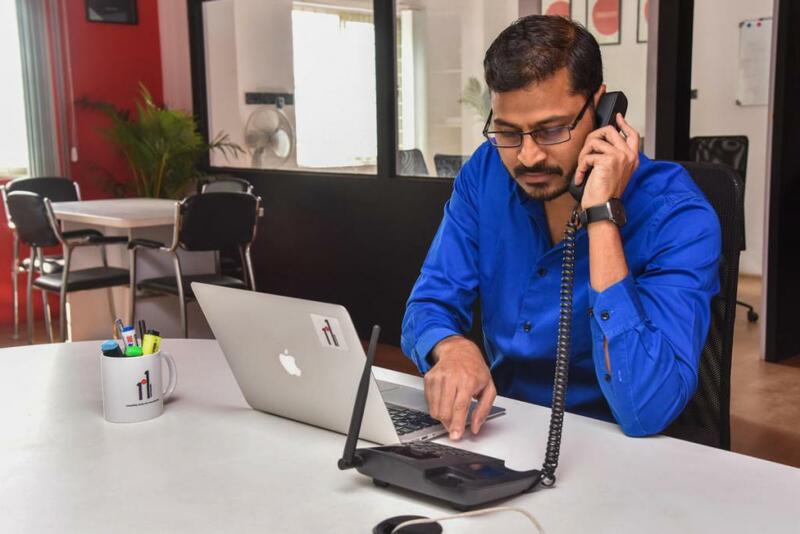 Gangadhar works from his New Thippasandra office, adjoining Bengaluru’s posh Indiranagar. He is dressed casually in a T-shirt and track pants. On the wall is a map of India with several pins, denoting the network of reporters that 101reporters is trying to work with. When asked what his company does, he responds, “We can say Uber of journalism.” From starting out with five reporters and selling four to five stories a month, 101reporters has grown to producing nearly 100 stories a month. Their reporters’ network is 150-200 strong, with plans to have a reporter in every district of India (over 700) in a year. “I realised that there is a demand from the publishers for a lot of good stories, there are reporters who are ready to supply it. But there is somebody who needs to vet them, who needs to certify that these stories are fact-checked, good to go and somebody’s putting a stamp on it,” he says. 101reporters has had some success in this regard. 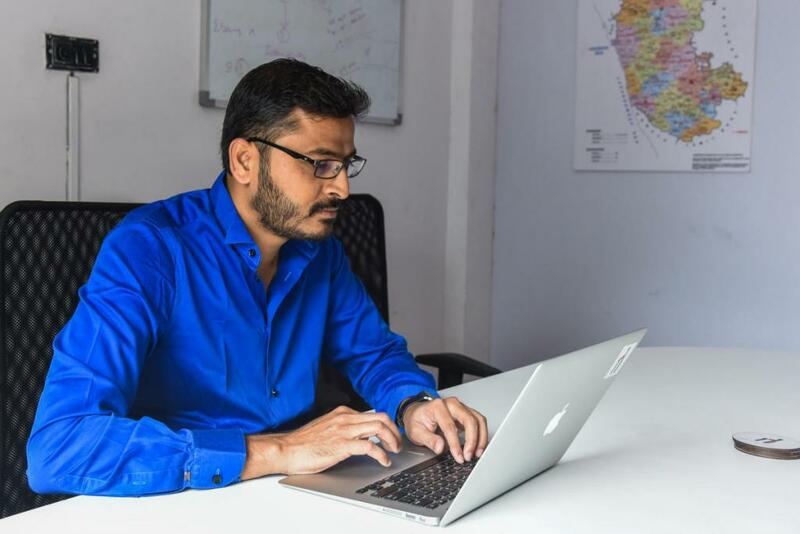 They’ve worked with 16 publishers so far, including First Post, Scroll.in, IndiaSpend.org, Karnataka Today, The Telegraph, Nikkei Asian Review and the Hindustan Times. Today, Gangadhar is constantly in talks with more and more publishers, but he admits that there’s always negotiation on the rates for a story. Gangadhar was born in Hyderabad to a middle-class family that hails from Belagavi. He is the youngest of three children. They moved every three years from Bihar to West Bengal to Jharkhand and Assam because his father was a part of India’s police force. He studied mostly in three schools in the North East. He wasn’t good at academics. He failed in classes 6 and 9. After graduating with a degree in commerce, Gangadhar searched for options that would make a suitable career choice. 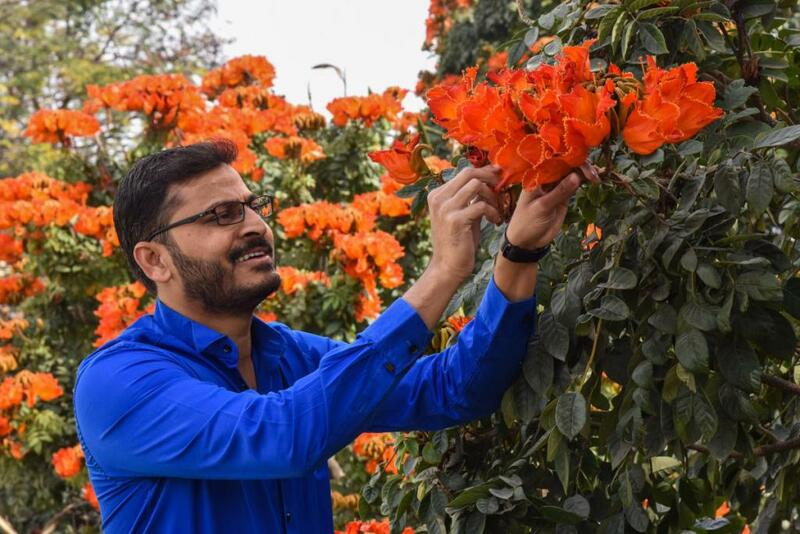 A desire to be in public life took him down that familiar path of trying to secure a spot in the prestigious Indian Administrative Services, but it didn’t work out. He tried to enroll in the army, navy and paramilitary forces. He also contested a panchayat election and lost. Finally, Gangadhar became a journalist, working for a local cable television station in Belagavi. He’s since gone on to work for The New Indian Express in Kalaburagi and Chennai, DNA in Mumbai and Delhi and the Economic Times. 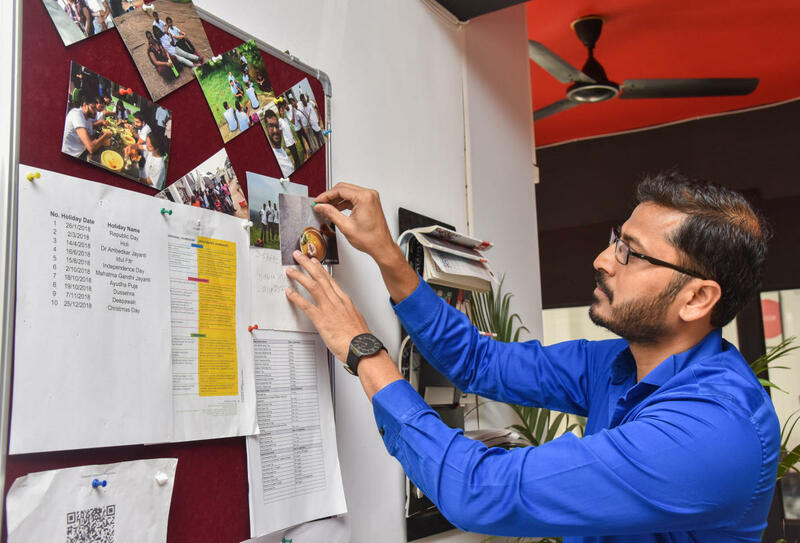 By January 2015, Gangadhar had quit his job at ET and started up a concept called the India Centre for Investigative Journalism – something he had ideated as being a donor-funded centre for the work that he was passionate about. His investigative project had all but failed. All he managed to do was build a database of 20,000 journalists across India. And then the idea struck. He decided to put this database – which was almost effortless for him to compile – to some use. Another value addition for editors like Jaideep is the variety 101reporters has in its quiver. “They’ve created those sort of divisions – various kinds of journalists – so if there is a firing in Mandsaur and I want a breaking story he will send one sort of reporter. If I want an analytical story on why the BJP won in Mandsaur, despite there being firing on farmers, then he will send a more seasoned journalist,” explains Jaideep. Gangadhar displays a unique mix as a leader, one that combines the features of a big metropolitan reporter and a start-up whiz kid. Phrases like ‘unit economics of a story’, ‘scaling the platform for reporters’ and ‘building a network of empathy’ roll off his tongue. It became apparent that significant contemplation on the finances of journalism had led him this way, on the slow path to profitability. “First month we had a revenue of Rs 50,000. And obviously the expenditure was much more than that. On the demand side, thankfully we had more publishers coming to us on their own. Now we are touching about Rs 10 lakhs revenue per month. In the last few months we have also managed to make some profits,” he says.